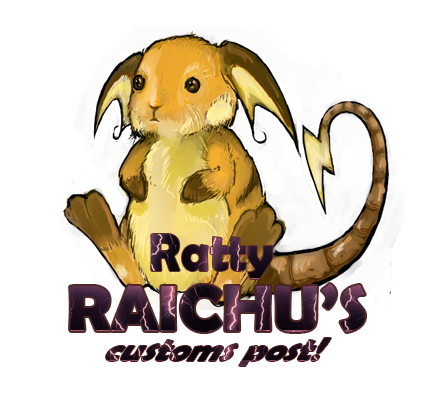 RARE to UNIQUE/CUSTOMS OR JUST EVERYDAY ITEMS RELATED TO..
Eeveelution / Pikachu / Vulpix / Latias & Latios / Absol or Lucario Items!! These Are The Main Pokemon Things I Collect And I'm After Quite A Few items If You Take The Time To Look I'd Appreciate it! 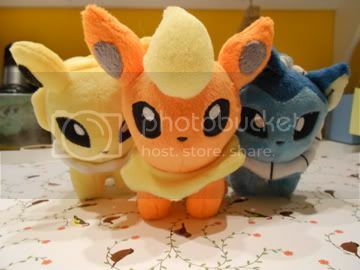 I WANT TO BUYING ITEMS From Canvas Plushies / Other Plushs Such As Walky/Minky/Branpresto ect.. / Walky Items / Figures/ Kids / Bed Sheets/ Pillows / Charms / Customs / Flats / Jewellery and OTHER RANDOM ITEMS at fair prices ect.. ect..
COMMISIONS OPEN! Get yer custom standees here! OKAY so with london expo coming up and needing to pay off my boyfriend's new PC, I am reopening custom 3D standee commisions! 3 slots only, get em while theyre hot! the perfect backdrop to any collection, or perfect display pieces for any bedside table or mantlepiece! These are hand drawn, inked, colored (using letraset markers) cut out and assembled by hand! These take hours to make and a lot of time, hence why I open slots so rarely! Grab em whilst you can! Hi all! Need to clear some space, so auctions ahoy! Thanks to everyone who bidded! 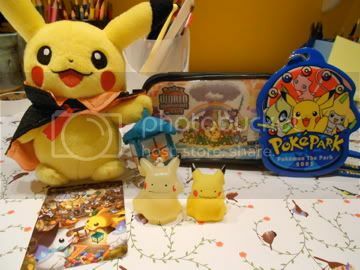 Pokemon joint palace + random stuff auction! Also I ship from Hong Kong, so shipping prices starts at about $2-2.5! I don't usually get new cards - I'm not interested in collecting flats, and want to sell off most of my TCG collection. So I started asking rl friends about old Pokemon cards they wanted to sell since I was looking for cards for pokepalace. While they have first priority on any Fossil or Rocket cards I've found, I just wanted to show off some of the cards I got, especially because some of them are fairly popular Pokemon. 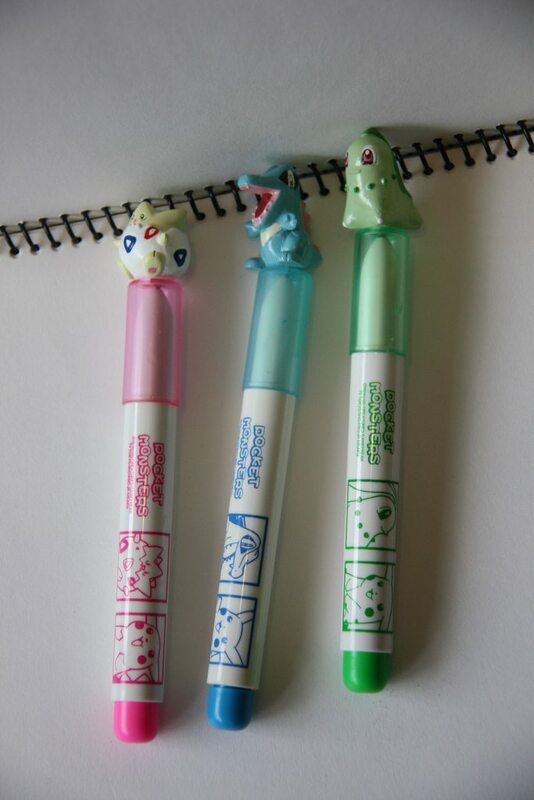 :3 Also, my first eBay purchase! Back to the card stuff for a moment, I was wondering exactly how to price cards. I've tried looking around the internet for pricing guides, and I found some websites but their prices were all totally weird, like $2-3 for uncommon cards from classic sets, $3-4 if it was first edition. The above user said they usually purchase common cards for 5 cents (apparently I totally overpaid my first friend for the cards I got...). Guess I'm just really out of touch. o.o What should I really be expecting, here? Also, all three friends I encountered had the original base holo Charizard card we were all after as kids, and all three wanted to know if it was still a very sought-after/valuable card. I've been on this community for four years and I really only recall seeing a single person who wanted one! What's the deal with 'Zard these days? Otherwise I won't repost my wants for now, but I'm working on putting together a proper sales post since my last official one was in '08. XD Keep your eyes peeled! Looking to buy some charms! I'm still looking to buy TWO Ponyta charms and a Zoroark charm! Someone please help me out here! XD Thank you! Big Nasija Lot GA 2! PLEASE STOP BIDDING!!!! THE GA IS OVER!!!! I come to you with another GA from nasija, again with some new and rare zukans, dog tags, figures and lots more! PLEASE STOP BIDDING!!!! THE GA IS OVER!!!!! 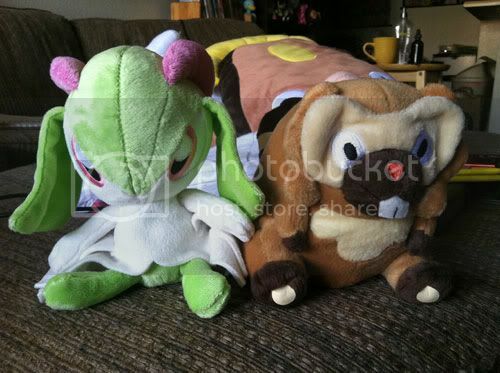 So I have decided to take all the plush in my sales, and sell it in a lot. I was planning to put it on ebay, but I wanted to see if anyone is interested in either buying it, or hosting a group auction on ebay. This lot has over 50 plush in it, and will be shipped in two separate boxes because of the amount of space needed. Sorry to post so soon again. 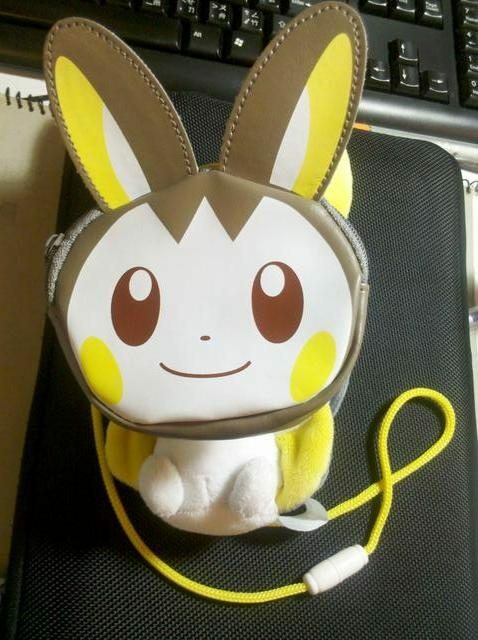 I revised the prices on my sales post, the Eevee Tomy plush now starting at $100, and a Hangtagless Vaporeon Canvas at $75. 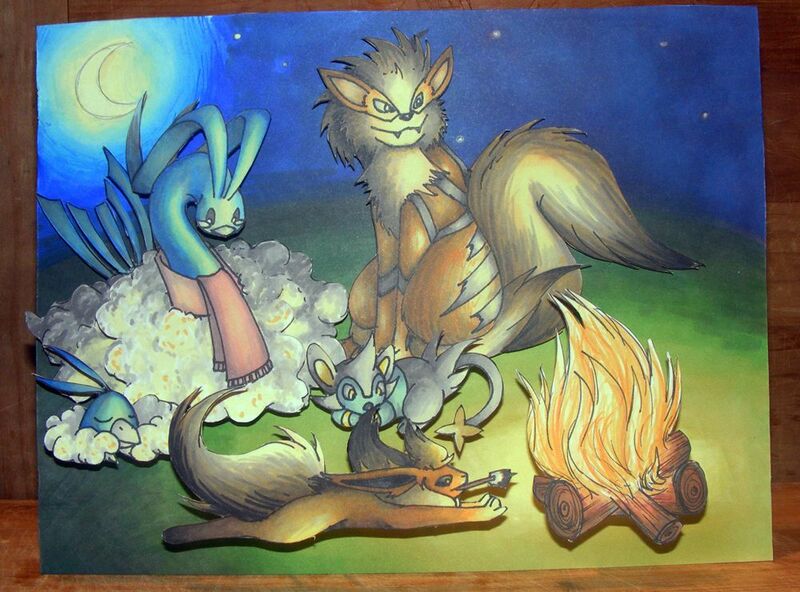 I will add some more Eeveelutions goodies later on. 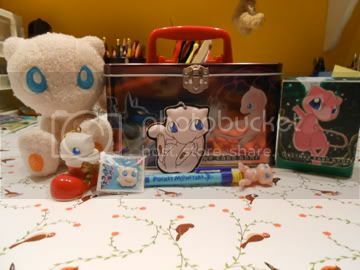 This is just a reminder that my auctions for the Mew bath buddie plush and the kyogre pokepark plush are ending tomorrow. 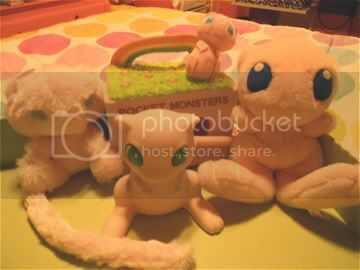 Mew is MWT and has its suction cup, and it only has one bid! 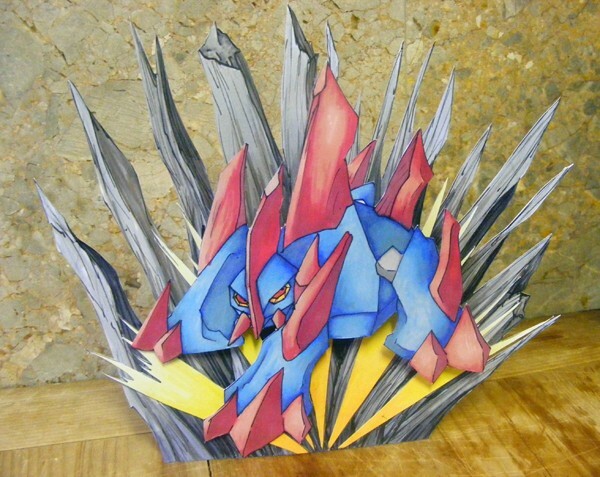 Kyogre doesn't have any bids! Click either picture to go to the original auction! The last bit of collection weeding! Hi community! This will be my last batch of collection weeding and it includes a little bit of everything this time: plush, figures and flats. :D Haggling is welcome as always and I am going to be a bit more lenient in terms of haggling/holds since I really want these items gone! My only exception is that I do not want to do any trades at this time since the point of these sales is to de-clutter my collection. 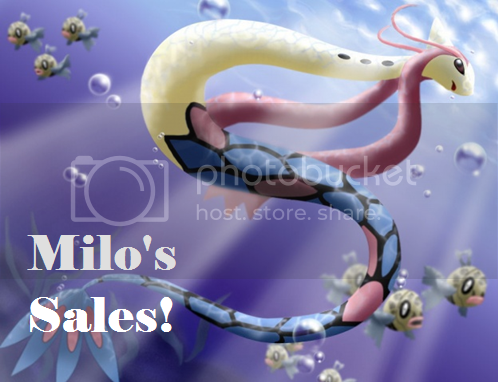 These sales feature Rayquaza, Zekrom, Deoxys, Torchic line, Larvitar line, Magikarp, Feebas, and Brock! Click here or the picture to be transported!!! Sales permission granted by Dakajojo on 10/13/2010. Feedback can be viewed here! I may very well continue the weeding sooner than expected because my collection is still a bit more cluttered than I'd like right now, but this will be it for the time being! Today I bring you some sales. My Arcanine and friends plushies arrived! woohoo! Helllo everyone! It's been quite a awhile :3 I doubt anyone remembers me, so for a quick intro, I am your friendly neighborhood Sneasel/Weavile Collector! You can call me, Luckless, Lucky, Prince, or however you may like! I mainly collect Sneasel/Weavile but have started on the beginnings on a Choroneko/Liepard collection as well! 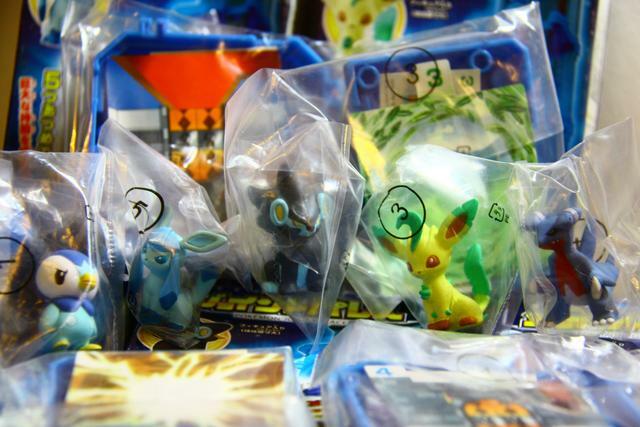 After having had a break from PkmnCollectors, I'm back and eagerly ready to hunt down some more Sneasel/Weavile merch! 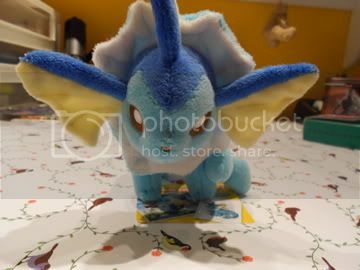 I'm a huge fan of flats/stickers, but although I hoard sneasel and weavile flats, I am not interested in stickers from "Collector" Sticker albums. Example HERE. Amadas and stickers the "Korean Pop up Stickers" on the other hand, I FRIGGIN LOVE. And that's all for now~ :3 I haven't really recieved much merch lately but I did get this uber cool Versus card! Isn't it gorgeous? *u* I had to go to work around the time that the auction ended, so I didn't think I was going to win but I miraculously did and couldn't be happier! Well, that's it for my collection update! But wait, there's a few more things to share! It looks like I never showed anyone my Pokemon cosplay from Anime Boston! I currently have 5 slots for wallets, and 2 for keychains. Click on the link for more info! i guess you guys can call it a "Legendary Pokemon Bag" lol unless those pokemon created more legendary pokemon then i have to like remake a bag again and put those pokemon -.- I have all the legendary pokemon up to 649 that is legendary lol"
Prices aren't as good as my last sales since I only got one box this time. It's nice not having a million singles. Pokemon advanced battle latios/latias TCG binder? I hope you all can enlighten me by finding this trading card holder/binder/portfolio/album? It was blue, and it said "Pokemon Advanced Battle" and it had latios and latias on it. It would bring back so many childhood memories. I swear I hate when things just disappear! I haven't had it for like 5 years and I don't even remember throwing it out or anything. But it got pretty damaged because I left it out in the rain one day.. So if anyone has one, or has seen one somewhere, PLEASE tell me!